Hi Paul Frith from Thorpe Thewles recently sent me an e-mail containing the following information and image. I'm sure this will be of interest to some of you out there. "...here is a picture of the Revd. 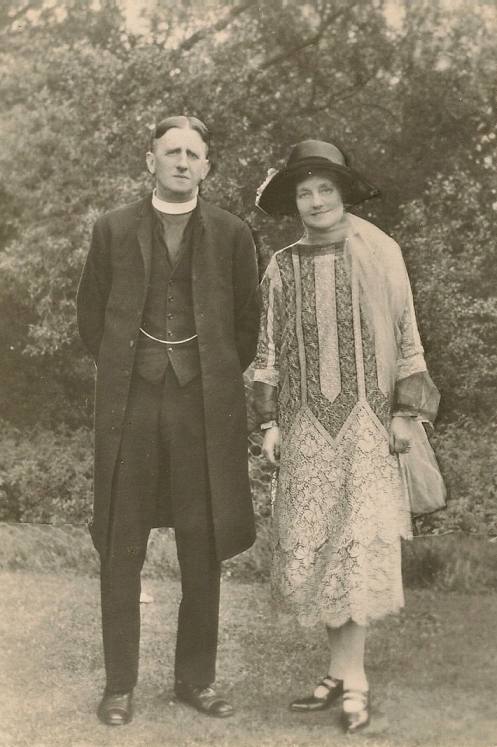 M. Batty, a former vicar of St James'Church,Thorpe Thewles, taken in about 1908. We were sent the original photograph to copy on condition that we would send it back, which we did. The lady who sent it to us was a descendant of Revd. Batty and knew this area. She and her husband live elsewhere (West Midlands I think it was) but they visit the area, and they happened to be passing one day when we had the church open." (1) He would be 39 and she would be 33 (they look years older) .... saying that guessing people's ages has never been my strong point. (2) She is showing far too much leg (especially for a vicars wife !). Above the ankle would be very daring for 1908 and even pre-war. (3) Her shoes appear more fashionable than functional .... and don't look very comfortable. Would suggest that it is around 10 years older that would make the photograph not be taken in the parish. I will look through some items I have on dating photographs and see if I can find anything comparable that are dated. Pity that there is not a dated photograph of Mrs Batty to compare it with (say with any of the children). Some questions that may not be answerable .... Was this photo on a mount ? Was the reverse copied ? I, in my similar ignorance, thought the photo was a 1920s one based on the dress style alone. I think your cumulative observations are probably spot on. Unfortunately the original of this photo doesn't reside in the area so we have no way of checking its reverse for details etc. 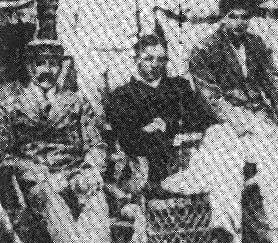 Rev Batty (dark blazer) part of the 1908/09 Wynyard Park Cricket team ... cropped from An Illustrated History of Wynyard Estate Through The Passage Of Time by Adrian Liddell page 46. Comparing this with the other photograph I would definitely now place the date of the other photograph in the 20's or 30's.